Natural orifice translumenal endoscopic surgery (NOTES™) and laparoendoscopic single-site surgery (LESS) are exciting new developments in the evolution of minimally invasive surgery with potential application to urologic reconstructive surgery. 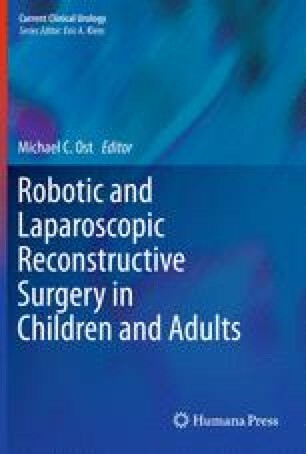 Both represent a natural progression of laparoscopic surgery with ever fewer and smaller incisions and each shares common challenges. NOTES™ as a concept offers the potential for surgery without any transcutaneous abdominal incisions. LESS appears to offer a natural intermediate step toward a NOTES™ approach and may prove more practical for many applications. LESS may be described as a laparoscopic procedure with a single cutaneous incision through which multiple trocars or ports are placed. The advantages of either approach relative to standard laparoscopy will need to be established. There are rapid technological advances that are propelling both approaches forward, making an exhaustive description of the techniques and equipment unfeasible. The online version of this chapter (doi: 10.1007/978-1-60327-914-7_19) contains supplementary material, which is available to authorized users. Quasi-NOTES surgery used to remove donor kidney. Medical News, Surgery. 2009. http://www.medpagetoday.com/Surgery/GeneralSurgery/12744.